Simple. Change the way we do business, change the world. Simple. Change the way we do business, change the world. Business has the single greatest potential to do good for the most people on earth of all the major systems. Government, education, spiritual, and healthcare have all had their day attempting or blocking good. Time to change the way we do business. 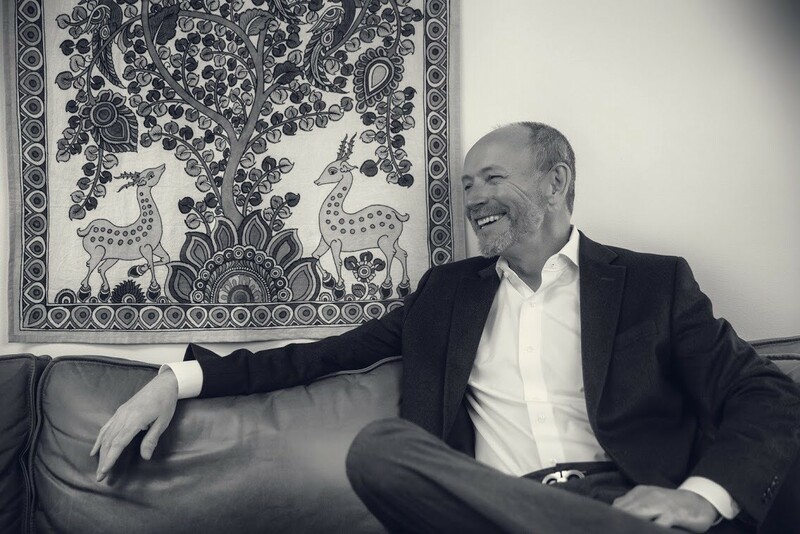 I had the pleasure of interviewing Guy Pierce Bell who for more than 20 years has been successful in business despite his unconventional approach. He knew early in his career that his brand of leadership created momentum by connecting with people to reach their full potential. Guy continues to trust in the experience of staying curious over any specific school of thought. He now shares his passion for humanizing business by writing, speaking, and connecting with businesses ready and willing to re-imagine what is possible. I wrote and played original music in my early life and if you asked me at 21 what I’d be doing at 54, I would never have guessed where I ended up. Never. I’m still amazed when I slow down to think about where I started and wonder how I got here. I went from playing music, starting a few businesses, to managing. Once I started to manage businesses, I learned quickly that I didn’t fit into the club. My bosses in the early days had a fire faster, care less, learn to be respected not liked mindset. Good people, bad school of thought. I knew this made no sense so I stuck with the idea that people really matter. This wasn’t popular then and remained unpopular throughout my career. Unpopular to those invested in maintaining a school of thought that said, it’s just business — it’s not personal. Then one day I woke up to the fact I was going to be in this world of business so I’d better figure out an elevator speech. After years of fixing failing businesses, and not really thinking through my storyline, I became the “turn around” guy. In an interview several years ago I was asked why I was successful at turning around businesses. I didn’t know how to answer the question without getting into all sorts of details, and as my mind kept searching for the answer, it came to me. I said, “I don’t belong here!” we both smiled and I continued. “I see everything from a different perspective.” My real answer was and remains simple. The surest path to business success is through humanizing the business. When individuals thrive, business thrives. I’d just started working at a new company to turn it around. On the first day, I learned that we couldn’t make payroll. Yikes. The following week the CEO brought in all the unit leaders for a two-day meeting. I watched as the crowd of operators half listened to the CEO and many seemed to be taking notes. This is a common practice but seemed to be more note takens in the group than I was used to seeing. The first day ended and I figured out who the “ring leader” was in the group so I asked her a few questions. “What are you all writing down that was so interesting?” She said, “We are playing buzzword bingo.” She showed me the card and let me know who won the first bingo and which of the managers filled their card first. I couldn’t help but laugh. My new book Unlearning Leadership, is about to come out and I’ve been speaking on the topics in the book. Excited to spend more time with companies and leaders around the world to play with the ambition of reaching their full potential. This is the most important work I’ve ever done. I’m certain that when we awaken to our full human potential, we will meet our full business potential. When I think about how obvious this is and wonder how we got so far off track, I come back to the fact that we have a choice and when we choose to change how we approach business, we change the world. Lao Tzu (Laozi), Hildegard De Bingen, Heraclitus, Jesus, Buddha, Rumi, and all the mystics over recorded time. Joseph Campbell and many others before and after him, playing in this field of potential. In more recent times, Maya Angelou, Martin Luther King, Eckhart Tolle, Thich Nhat Hanh and Krishnamurti. Ricardo Semler, Richard Branson, and Jeff Bezos. David Bohm, Einstein, Tesla, and named/nameless brilliance pursuing the truth beyond our limiting beliefs. Teaching us that failure is the chiseling away at a rock until it becomes David. This applies to science, spirituality, and business in equal measure. In fact, this chiseling away is found in all the stories experienced and shared by these amazing people. Other reasons why this group has inspired me — Rational thought emerges from what was once thought to be irrational. Trust everything life presents and accept nothing as the truth. That is, until you go within! From your full body wisdom; your stomach, heart, and beautiful mind, you will know the difference between the truth and everything else. I love sparse writing which tends to be found in poetry and short stories. I read about everything and finish only those books I can’t put down. There are times I read business books but they tend to give easy answers to complex problems, and complex answers to easy problems. I love learning so I read every day. Of the thousands of books and articles I’ve read over the years, I’ve learned that everyone has at least one spark of wisdom worth our time. When we see business as wildly personal and businesses as a way to change the world for good, our businesses thrive because the people thrive. There are plenty of systems we look to for this kind of transformative change. We’ve looked to government, healthcare, and education for this embrace of our full humanity and it has largely failed to live up to its potential. Religion is no different. There are amazing human beings in all the systems. And there are fantastic, heartfelt leaders committed to “being the change”. The world changes for good when our leaders change for good. Time for change. Write a book if you are passionate about the topic and see a need for your voice in the ecosystem of books/articles. Get feedback from novices and experts as you develop your idea. Don’t give up! Simple. Change the way we do business, change the world. Business has the single greatest potential to do good for the most people on earth of all the major systems. Government, education, spiritual, and healthcare have all had their day attempting or blocking good. Time to change the way we do business. The most selfless thing you can do is get to know yourself. If you are fortunate enough to start out life knowing why you’re here, GET GOING! Don’t wait until you have “enough” experience. Become the experience. Story: I knew at a young age that I would someday write, speak and teach to change how we come to business. I made the unfortunate decision to learn from experience by running companies. This journey from where I started, was anything but direct. It has taken thirty years to start what I knew as a young man was my “why”. Once you know, trust yourself! Be willing to adapt as you learn but only adapt when it aligns within. Be careful to examine what you believe. What you believe you become. Be careful to use activating words. What you say activates. Be careful what you do. When you align what you believe, say and do toward the greatest good, you change the world. Story: We don’t know ourselves, and therefore live our lives like others, for others, or against something. We work endless hours to prove ourselves to what end. We choose friends and partners that we know are not aligned with our deepest self but we do it anyway. We are living clocks, historians, and anxious about the future. None of this is helpful. When you know yourself, you do the work and let go. Repeat. Story: Ford created the assembly line through a Taloristic, machine minded approach. One hundred years later and we have Agile workflows and robotics using the same schools of thought. When we are capable of holding many competing thoughts as equally true and able to weave in wisdom, a touch of humanity, and an eye on the health of all ecosystems being impacted, we start to become free. From this free thinking, we can now be free as people and begin to live into the ideal of a true “free” market. Innovation only happens in the moment. Being present within the field of potential is where innovation takes place. There are precious few people innovating and most do it in isolation. Doesn’t need to be this limiting but does need us to break patterns of limited thinking. Story: Fear kills good ideas, morale, connections, trust and everything worth doing. Leave fear to its rightful place. Fearlessly move into meaning. We are all here to create, connect, and live in a state of curiosity. Perfection is the enemy of innovation. Story: Working in the field of potential requires failure. On a linear scale, success and failure are simply two outcomes. The solution is likely to become the next problem. And the failure is likely to teach you something you didn’t know. Business today blocks innovation by creating departments or systems of innovation. The fear of losing control, making big mistakes, and failure kills potential. Falling in line keeps most people in the workplace safely aligned with “normal” business expectations. This ensure mediocrity at every turn. Self examination is rarely found in business outside of political positioning and PR stunts. Business has little to no interest in people. It’s not personal. It’s just business. These FIVE lessons would change business for good. Jeff Bezos, Ricardo Semler, Richard Branson. Lloyd Blankfein, Bill Gates, and anyone interested in changing the world for good as their reason for being here, now.